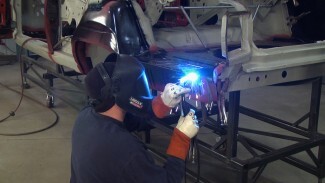 When restoring a classic car there are some areas that are nearly impossible to get to. One of those areas is inside the rocker panels and frame rails. Let’s face it if your classic car still has it’s original rocker panel sheet metal, you want to do everything you can to keep it that way. 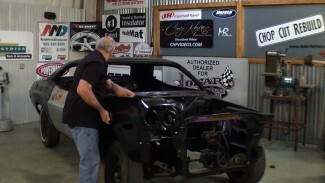 Mark Simpson demonstrates how to properly clean out old rocker panels and treat them with Eastwood’s Internal frame coating to both seal up the surface and encapsulate any existing rust. 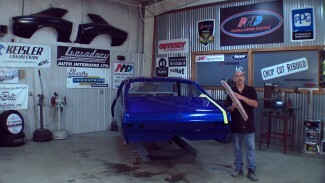 Craig Hopkins runs down a checklist on how a car quarter panel should fit on your classic car, including using plenty of clamps and securing it with a final welding and rock grinder to level it out for a perfect repair.